Konbanwa (Good evening)! After three packed days in Kyoto, Japan, Sasha and I thought we should take a moment to send out a proper update to friends and family. 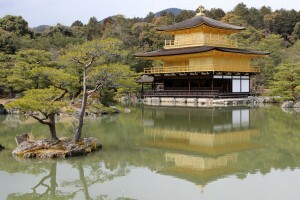 The picture is of the Golden Temple we visited Thursday — a temple covered in gold leaf and oh so zen. For those of you, who are only getting the emails, we rescheduled our departure date about 10 days ago and we added Japan as the first stop on our itinerary — here we are. Kyoto, the city we’ve been exploring, was unaffected by the massive quake that hit yesterday afternoon (Japan time). 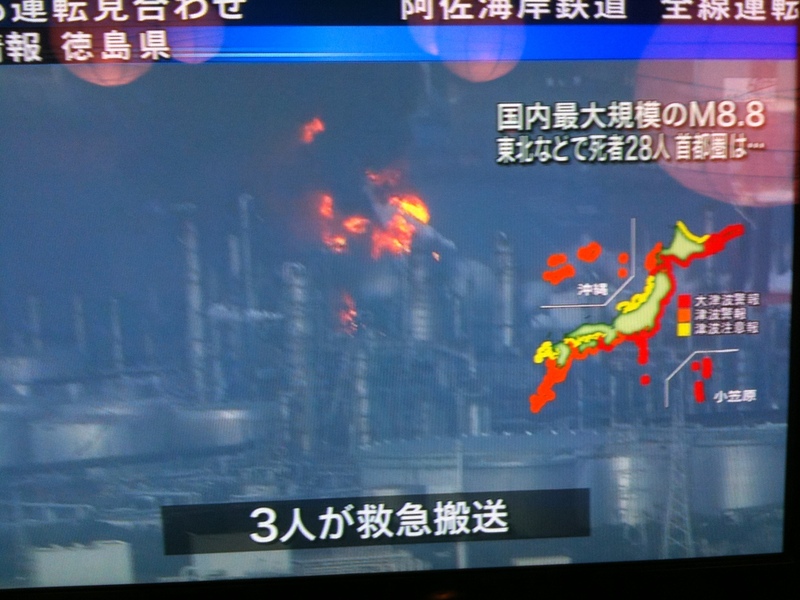 But all of Japan is glued to their televisions watching the crisis evolve. It is reminiscent, for me, of the Bay Area quake of ’89 and 9/11. With over 2,000 temples and shrines to see, cherry blossoms blooming, bamboo forests to walk through, and tea ceremonies to attend, Sasha and I have been keeping busy (we have about 1,982 temples and shrines left). The original plan was to head to Tokyo yesterday for our flight out, but that’s proved much more challenging because of the earthquake (and nuclear power plant situation). Once we figure it out, we’ll post an update. Thanks for taking me with you….this is wonderful!! Kyoto is one of the most charming cities I’ve been to. Hope you enjoyed it. Glad you both are doing well. It is truly awful to hear about what is happening in Japan and I hope the country get back on path towards recovery. Hi Guys. Glad to hear you are enjoying your first stop. Hope by now you only have 1,000 more temples and shrines to see. Be well,enjoy & stay safe. Since the Tokyo airport is a little to close to the whole nuclear reactor/radiation leak thing going on, I was thinking of suggesting that you take a boat. But then again, maybe not. Kayaks and surfboards are out, too. Now what? Sooooo glad you are okay. Tokyo airport it is. Only way out. We are not leaving a train until we get to the airport and are thinking that might help us!! Tomorrow. sounds like you two are having fun! glad you guys are ok.
Hey guys – this is so wonderful. I’m so happy to be a part of your world wind voyage. Thanks for including me, be safe and have fun! Ummm, The cherry blossoms are lovely and all but can you just get out of there asap dear cousin?